At ebay.in you can purchase Dell Vostro 3568 - Core i5 (7th Gen) 4GB/ 1TB/ 15.6"/ Linux/ Black for only Rs. 0, which is 100% less than the cost in Flipkart (Rs. 42,999). The lowest price of Dell Vostro 3000 Core i5 7th Gen - (8 GB/1 TB HDD/Linux/2 GB Graphics) 3568 Laptop(15.6 inch, Black) was obtained on April 14, 2019 11:12 am. very good product. comes with fingerprint wcanner as well. 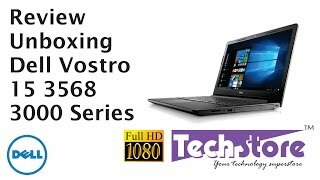 CPU: Intel Core i5 | Capacity: 8 GB RAM | 1 TB HDD + 512 GB SSD | Style: FHD 1080P | Color: BlackI purchased the Dell Vostro 3568 model with the FHD 1080P screen, Core i5, 8GB RAM, and 512GB SDD + 1TB HDD combo and I like it so far, but can’t say I absolutely love it. I purchased mine specifically to be a desktop replacement/mobile workstation. I do not do much gaming, but rather, I run a lot of CPU intensive VMs and networking programs, with occasional Photoshop work. So far, it’s been incredible value for money. Performance with this laptop is great, the SSD is fast enough for the kind of work that I do and having the 1TB secondary storage is nice, but I think eventually I will swap both drives out in favor of a single SSD. 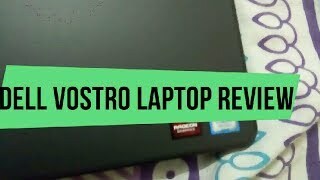 The graphics card on this laptop is a beast and handles Photoshop exceptionally well, and the FHD 1080P screen has great color and depth to it, but in my opinion is too contrast.Things to like about the laptop:- The combination of i5 quad core, SSD, 8GB RAM, and 2GB discrete graphics makes this laptop blazing fast for the money. It’s definitely up there with other laptops that would cost easily twice as much.- FHD 1080P screen is gorgeous for everyday use. Not exactly the brightest screen, but it will do. Good in terms of overall image quality and color reproduction.- Keyboard is nice and quiet, perfect for typing, not so sure about gaming. The keys are decently sized, nicely spaced apart, but the key actuation is very low. There is little to no feedback with each press of the key. Backlit feature is a very nice touch, but there is a lot of light bleed out the sides of the keys and the space bar + the trackpad are not lit. Numberpad is also nice to have as well. Saves me a lot of time in my line of work.- Speakers are great for a laptop. Don’t expect too much from it as it is weak at best. I listen to a lot of music and it still sounds very flat on the bottom end. Still very hard to distinguish a lot of different bass notes, but at least the sound isn’t as flat or tinny. They do get very loud very easily.- Out of 3 USB ports 2 are USB 3.0, 1 of them are USB 2.0. This means that any device you plug in gets more than the typical 0.5A of regular USB ports. I’m not sure exactly how much output it has, but it’s enough to charge my phone just like my normal wall charger would.- Overall construction is fairly nice. The laptop is very sleek looking in all black. Very professional look in my opinion. The hinges are nice and stiff for the screen. It closes with a nice soft thud. The construction is all plastic, but it still manages to feel very sturdy.- Laptop doesn’t get extremely hot with all the power it has packed into it. With the fans and all of the ventilation, the laptop stays fairly nice and cool, as well as quiet. The fans only got loud on me during my Win 10 updade, and boy were they loud. Other than that, working for 3hrs of Photoshop did not even kick the fans up. The underside of the laptop does get slightly warm, but not to the point where it gets uncomfortable.Things not to like:- Trackpad is a little disappointing. The size is nice and scrolling is fine, but it gives a very hollow thud with each click and just feels cheap overall.- Battery life is average, definitely not winning any points here though. I can usually get about 5 hours with normal everyday tasks like web browsing, a bit of music listening, and using Microsoft Office products. Anything intensive such as Photoshop or VMWare will bring down battery life to 3.5-4hrs. Given the size of this laptop, you would think they could stuff a much beefier battery, but oh well.- Soft-touch plastic construction is an absolute fingerprint magnet. No matter how clean your hands are, this laptop attracts all sorts of greasy fingerprints on it. They’re not as obvious due to the matte look, but given the right angle you can see all the fingerprints.- The laptop weighs quite a bit. It isn’t advertised as being an ultra light laptop, but at 2.3kgs for the laptop alone, it is on the heavier side. Throw in the huge brick of a charger and you’re looking at around 4kgs. Not exactly the most mobile workstation, but again, it isn’t advertised as being an ultra light laptop.- Does not utilize DDR4 RAM or PCIe x3.0 SSD technology, which is understandable given how new the technology is, but would still be nice to have for future upgrades. At this moment, Dell reserves this technology for their higher end models.These setbacks are minor at most. Don’t let them sway you from choosing this laptop because it is still a great laptop overall. It does everything I need it to do without a hitch and it looks awesome. Personally for me though, price is a big deciding factor for this laptop. I paid under 48,000 with tax and shipping. If those two factors don’t matter to you, then definitely go with this laptop.